Seven notes blown from trumpets changed my life in 1976. The Olympic theme, “Bugler’s Dream” written in 1958 by Leo Arnaud is the well-known opening theme heard for every Olympics since 1968. Through the years, many have watched the Olympics and dreamed of one day standing on that podium and hearing the national anthem being played for them as the gold medal is placed around their neck. I was one of those dreamers. I was going to do something, I was going to be somebody. 1976 was an emotional summer filled with patriotism and dreams of greatness. It was our nation’s bi-centennial. Nationalism had already stirred my soul and now as I watched the Montreal Olympics my desire to become great hit a fever pitch. In El Paso, Texas that summer, the days were hot and temperatures usually hovered in the 90’s. Inspired, the heat had no effect on me and I began running. I lived on the side of a desert mountain and I ran up and down the steep roads determined to become great. “Bugler’s Dream” echoed in my mind. When school resumed in the fall I joined the track team. As I ran around the school field sweating profusely, the song began to fade. Soon severe shin-splints ended my track career before it ever began. I never liked running anyway. I was a sprinter. I loved freestyle and butterfly. We had a pool in our backyard, so I began swimming. This time it stuck. 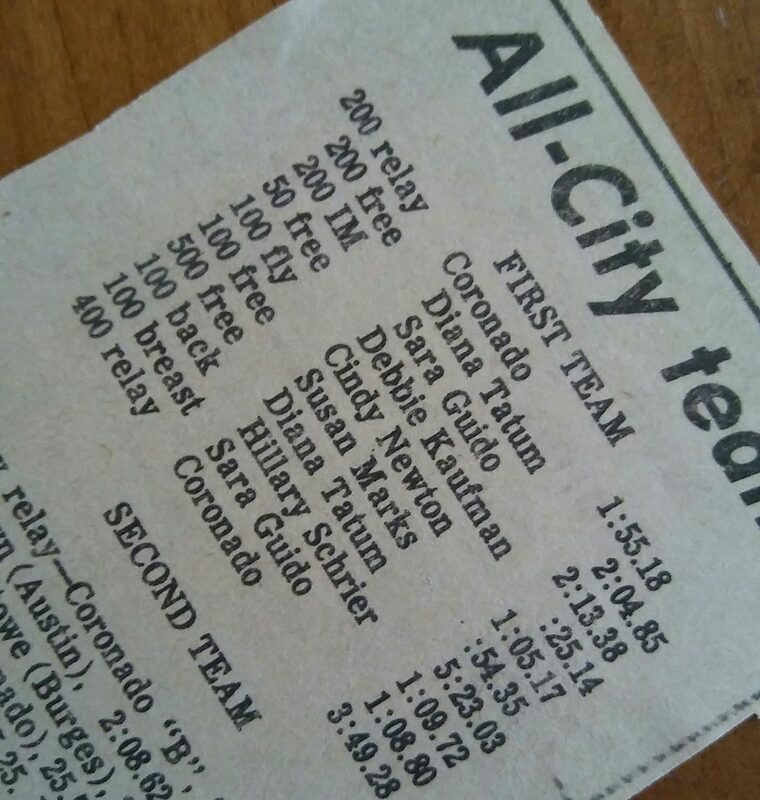 A late bloomer in the sport of swimming, beginning my sophomore year, caused me many hardships, but I persisted. The trials that challenged me one day will fill a book, but for now, know that the new song that I consistently sung was the theme song from, “Rocky.” I was the underdog. I lacked respect and support, but I persisted. My maiden name is Kaufmann. I never gave up. I accomplished much in a short time. I was not a freshman. I was a senior. Eventually a college scholarship took me to Texas Tech University. 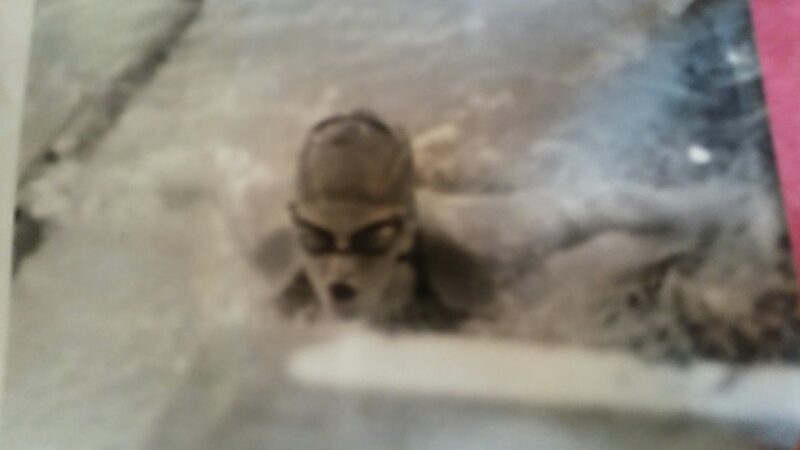 My entire life had become all about swimming. It was not only what I did but it was my identity. (There’s another book) My junior year was my final year of competition. Along with three other girls, our relay qualified for nationals and we placed in the top eight and were awarded “All-American” status. 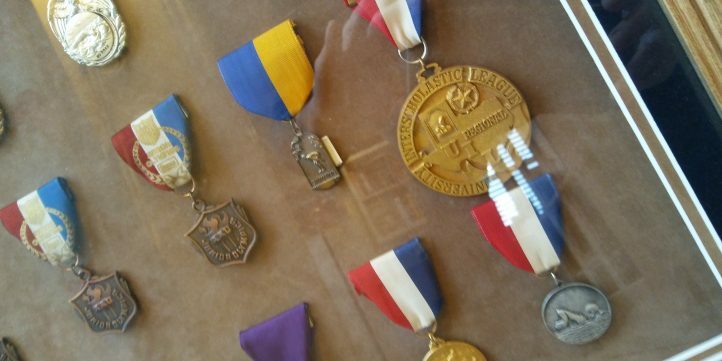 An injury ended my swimming career. I spent a season of searching. I felt lost. I was going to do something. I was going to be somebody, but I was no longer a swimmer. I did eventually find my true identity. It wasn’t as a swimmer. I found my identity in Christ. That was thirty years ago. During those thirty years I still had the echoes of those desires birthed in 1976. I still longed to do something and now I longed to make a difference. For the past 35 years I have been a wife, mother, homeschool teacher and involved in a countless number of other activities. My strong tendencies and character traits that attempt to do it all, didn’t go away when I left the pool. 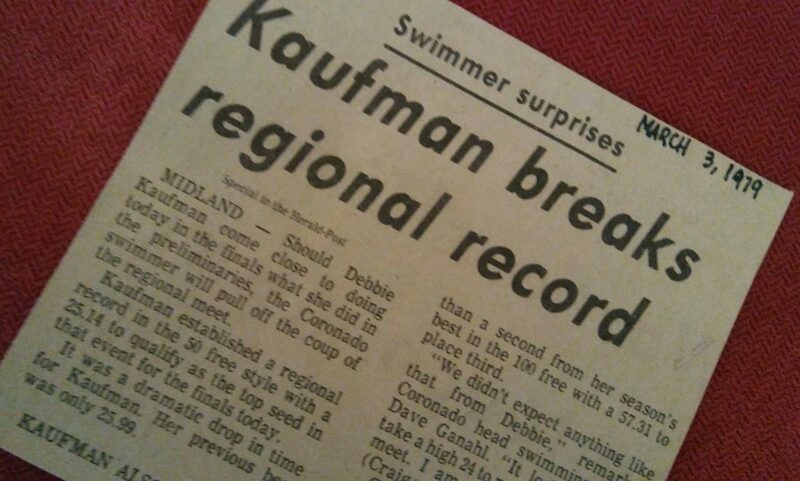 I continued to tackle each opportunity with the same fierceness I demonstrated as a swimmer. As a homeschooling mother of five children I attempted to do it all. Our activities and commitments were numerous and my to-do list – never-ending. It’s difficult to condense 22 years of life and summarize the effect that my go-getter personality began to have on me and my family. I became stressed, unhappy and desperate for peace. 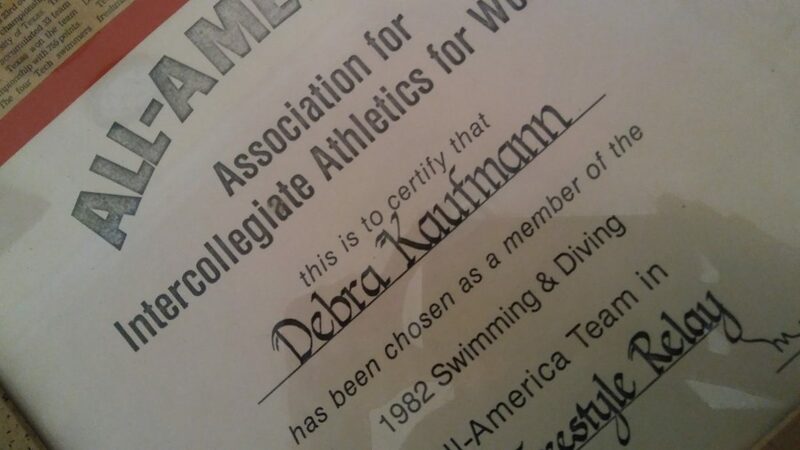 I am proud of my accomplishments as a swimmer. I believe in pursuing goals and giving your best effort toward all that you do, but there is a balance that needs to take place and at times, a re-evaluation of what success means, must take place. This blog is about enjoying an unhurried life. Enjoying an unhurried life is a worthy goal and pursuit. A life that pursues genuine, vibrant living creates more fulfillment than striving to do something or trying to be somebody. I began to see that success was not always striving for greatness but instead resting and enjoying those around me. I found that it was a great accomplishment to do less. Meaning to life happens when we are able to choose rest over activity, relationship over impersonal technology and purpose outside of accomplishments. I shared my story for a reason. As I share about an unhurried life, it may be easy to assume that it is my nature to live in a laid-back posture. 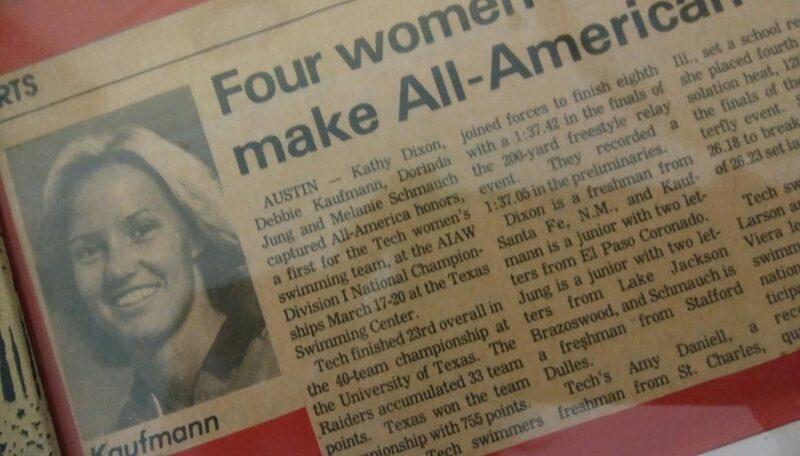 I had to fight to do less almost as hard as I fought to become an All- American swimmer. I spent years unhappy, feeling overwhelmed and unsatisfied. It took time to slow down and discover that an unhurried life is worth fighting for. There are moments when we look at our lives and think, “What happened!? How did I get here! ?” If you feel that way at all, I hope you’ll stick around. I still want to do something. I want to share ideas and insights with you that will help you find your own unhurried life. I still want to be somebody. I want to be someone who fights against our current crazy culture. I want to be your friend. I want to make a difference in your life. The “Bugler’s Dream” still stirs my heart. I still enjoy the thrill of victory for every athlete that accomplishes their dream, but now my dream is the irreplaceable value of enjoying an unhurried life. To win you must be subscribed to this blog. Then once you are a part of our wonderful group, comment on any blog beginning Tuesday, January 30, 2018 until midnight EST on Wednesday, February 28, 2018. Your name will be entered with each comment that you leave. The winner will be randomly drawn from all the comments submitted by qualified entries. PLEASE, check out each wonderful business woman that donated to this drawing. I HIGLY recommend each woman and her products. One of my goals is to support independent business women. Please consider shopping at The Pamper Goats and Pizazzzzz,. Subscribe to Holly’s YouTube channel. Join Table Talk for Women and use Becky for your Mary Kay needs. I too would love to grow my readership. 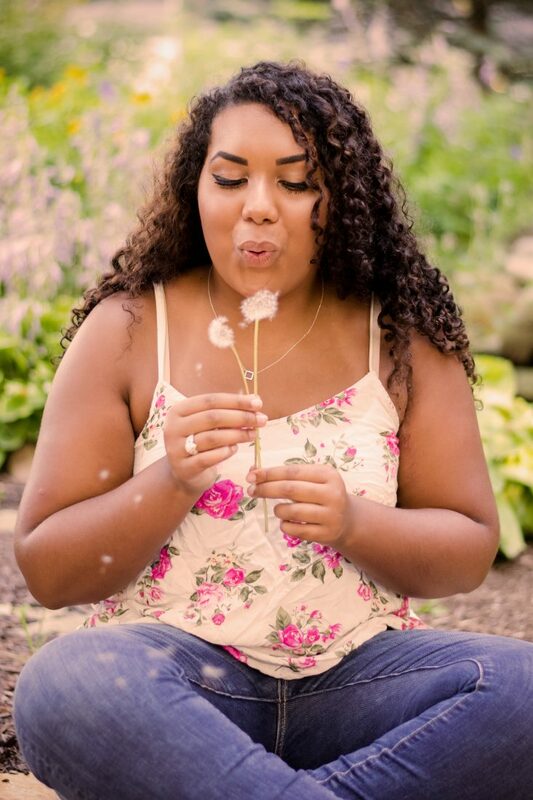 PLEASE share my blog on your social media!!! Tell your friends about my blog too. I’m excited to share the contents of this box that is sure to chase those winter blues away. For this box some wonderful friends joined the fun. Charlene Dunning is the lovely lady behind “Pampered Goats” and also one of the beautiful models in my Simple Pleasures book series. 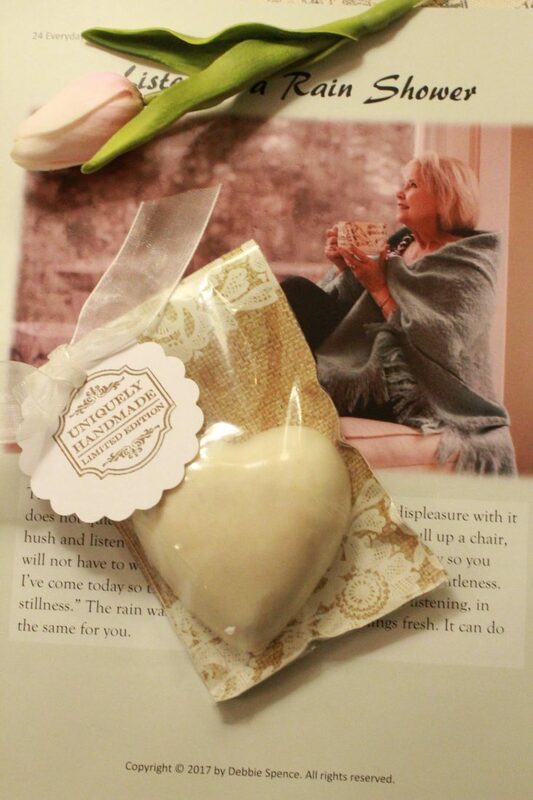 In 24 Everyday Simple Pleasures she enjoys listening to rain showers and popping bubble wrap. Charlene has been creating natural soaps and lotions from her daily goat’s milk for eight years. In addition to their artisan line of soaps and lotions they offer a men’s line, pet shampoo and spa quality bath bombs. Becky Kaufmann is also one of my lovely models. You can find her featured on my blog. Holly Lovegrove is an amazing, professionally trained make-up artist. You can find her on Facebook at https://www.facebook.com/hlovegrove and https://www.facebook.com/hollylovegrovemua/ also at her YouTube channel at https://www.youtube.com/results?search_query=holly+lovegrove+beauty be sure to subscribe to her channel. Holly has donated a $50.00 Gift Card. 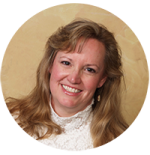 Debbie Casteel is the creator of Table Talk for Women a women’s network and socialization group on Facebook. https://www.facebook.com/groups/552862348215486/ Debbie is a friend to everyone and is always eager to help others grow their businesses. 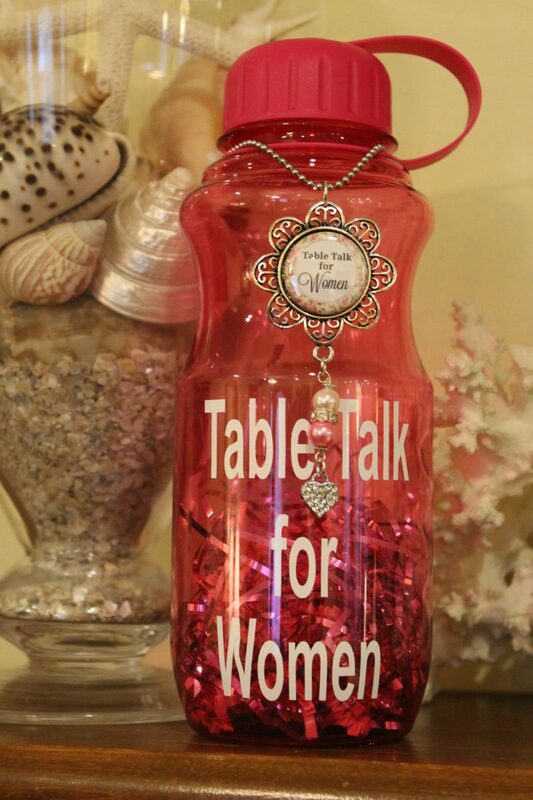 She just launched a line of Table Talk for Women items which are available on the Table Talk FB page. She has donated a water bottle and key chain. Lisa Miller is the owner of Pizazzzzz a boutique in Kokomo, Indiana. https://www.facebook.com/pg/onlypizazzzzz/posts/?ref=page_internal Pizazzzz is located at 2915 S Washington in the Maplecrest shopping center just south of Kroger next to the uniform shop. Pizazzzzz sells fashionable clothing, jewelry, books, gift items and in March will be opening a salon. 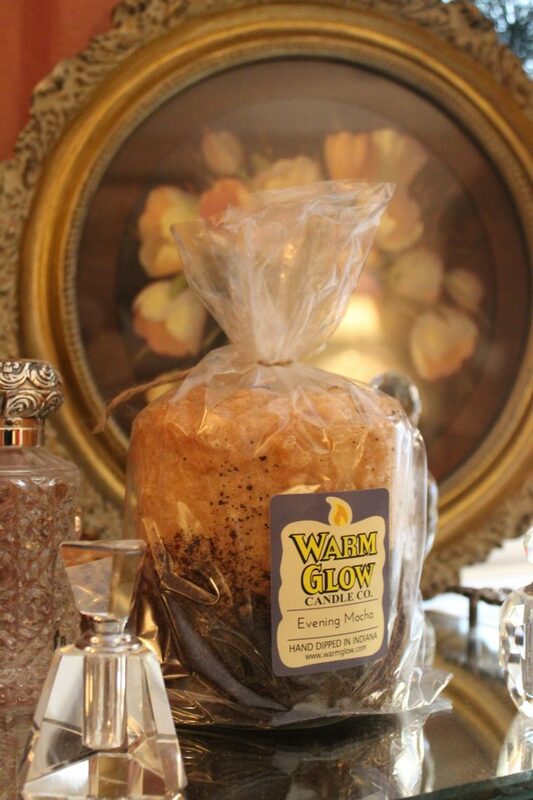 Lisa has donated a “Warm Glow” candle. Hand dipped in Indiana this “Evening Mocha” scented candle will make any room smell completely yummy. The chance to be featured as a model in 75 Simple Pleasures – Spring. Anyone in Kokomo and the surrounding area can enter to win this prize. If you’d love to join our models on the pages of my lovely NEW book, now is your chance. When entering, write “photo” by your comment if you want a chance to win this particular prize. The drawing for this will be February 14th – Valentine’s Day. You need to be available for your photo shoot between February 15 and February 21. This entry was posted in Giveaway, goals, Life and tagged Olympic dreams revised. Bookmark the permalink. I love this for many reasons. First, I love it because I am a Texas girl, but most of all I love how you found your identity in Christ. That is so important because so much can be taken away from us, but our identity is eternally secure with Christ. I lead a middle school girls small group, and the importance of placing their identities in Christ is something I constantly try to drive home. Thank you so much for sharing! Thank you Dawn. On a video I recently watched about the Philadelphia Eagles, the statement was made that these guys who are professional, Super Bowl winning athletes yet they said it was their platform not their purpose. I loved that. As writers building a platform we can forget our platform is not our purpose. Our identity has to be IN Christ.